Confucius said “for one to truly understand Double IPA, one has to become Double IPA”. Well, he would have said it if he was still around today, I’m quite sure. Regardless, we are starting to understand the magic behind what makes a happy DIPA, and the happiness of making one. Become DIPA comes from combining the 4 hops (Belma, Columbus, Mosaic, El Dorado) used in this 4th Double IPA of our Double IPA series. With a nice, smooth malt backbone and some mild alcohol warmth, this bold DIPA packs a punch and coats your tongue with an intense, yet pleasant bitterness. 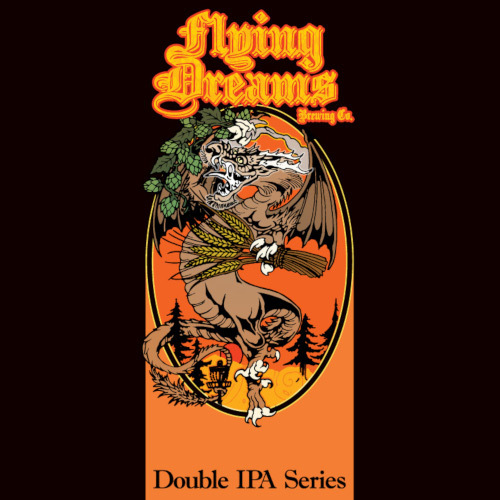 This premium Double IPA has wonderful orange, mango, grapefruit, and pine resin notes blended seamlessly together to become one, beautiful, ripe, smooth package of juicy, heady goodness. Nirvana, here we come!